Seriously Daisies: I feel awful... and I miss you! I feel awful... and I miss you! Really really awful! I have 24 hours a day, 7 days a week nausea. And because of that I NEVER ever feel like blogging anymore. I miss blogging, and all my bloggy friends so so much! I have super sore boobies, I'm always exhausted, I spend two thirds of my day in bed or on the couch, and the other third in the bathroom peeing, I'm breaking out like crazy, and did I mention the nausea??? But despite all the yucky stuff I am hopeful. I haven't had any cramps. NONE at all!!! And no sign of bleeding. I'm 8 weeks along, and have my first doctors appointment next Tuesday. One more month and I'll be through the first trimester. I just keep telling myself that I can survive anything as long as this pregnancy gives me a baby. I'm glad that you updated! I've been wondering about you! I kept worrying that something had happened. I'm sorry you're sick, but I'm glad that you are! Fingers crossed!!! girl! that is great! You better post as soon as you get back from the drs!! I've been absent lately, too. Only you have a much better excuse. Haha! Sorry to hear you aren't feeling well but I'm so glad the baby is doing well!! Hopefully you will be feeling better soon! 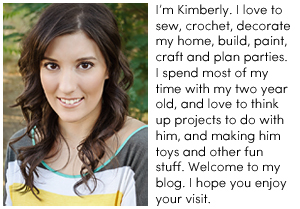 Congratulations Kimberly!! I'll keep praying that you continue to have all the symptoms of a healthy pregnancy. Thanks for updating because I was getting worried about you. Take care of yourself!! I realize that pregnancy must make you tried and queasy. So much so that you don't want to get on the computer. However, when you don't post for a while it makes me nervous. When I get nervous my stomach gets upset. When my stomach gets upset I am unable to do anything but wallow around. So could you do my poor stomach a favor and just do a quick "I'm fine" post? I miss you and I'm worried, seriously, when you don't update.